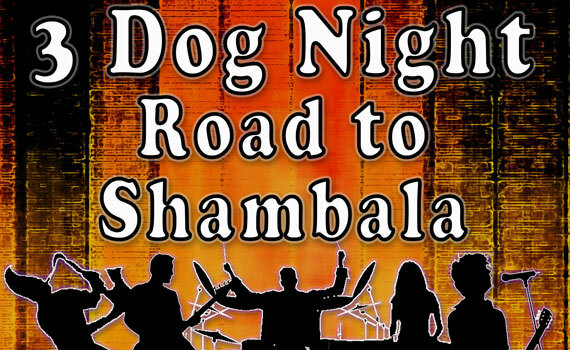 When you attend the “3 Dog Night Road to Shambala” show, you will rock out with a musical tribute to 3 Dog Night, and other 60’s rockers, like Bob Seger, The Rascals, Joe Cocker, and more. This incredible Branson show is sure to be a highlight of your vacation. This hard working band has backed up some of the most legendary artists so it will come as no surprise when you are on the edge of your seat! You’ll hear songs like Old Fashioned Love Song, Mamma Told Me Not To Come, Joy To The World, One, Celebrate, Eli’s Coming and Never Been To Spain. That’s just 3 Dog Night; wait till you hear their friends’ songs! Contact Branson.com today for more info. Special Veteran rate is for veteran and spouse. Military ID may be required.